We have maintained this list since 2010 with reviews of the marijuana seed sources that we use at GrowWeedEasy.com. These seed banks take online orders and ship cannabis seeds worldwide (including the USA). We only recommend companies with outstanding stealth, reliability, customer service, and seed quality. This certainly isn’t a list of all good seed banks, but these are the seed banks we know and use ourselves. It’s scary ordering cannabis seeds online for the first time, and it’s really important to make sure you get your seeds from a trusted source! Not only will that help ensure your safety and security, it also keeps you from getting scammed or ripped off with poor quality seeds or even no seeds! Learn about cannabis seed banks that deliver to you! How Should I Pay for Seeds? 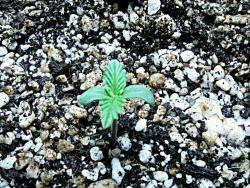 How do I germinate marijuana seeds? Choose their “Guaranteed Delivery” option when checking out for guaranteed stealth shipping. This ensures your seeds will get to you no matter what. Long-lasting & trustworthy company – Seedsman has been providing cannabis seeds since 2003 and they have made a name for themselves as a professional seed source. Choosing to add “Guaranteed Delivery” to your order combined with the price of shipping can make ordering from this place a little pricey, especially if you’re buying just a few seeds at a time. Prompt shipping, extra stealth options and guaranteed shipping available. They only carry their own strains, so they have a relatively small selection. That being said, we’ve typically gotten good feedback on their strains in the forum and email. We first learned of AMS seed bank after growers wrote in with positive feedback about them. They are also popular in the forum. They are known for excelling at customer service. USA residents, please note that international orders will usually not go through if you try to use a standard pre-paid debit or credit card to order seeds unless it specifically says it will work internationally. What do we use to pay at GWE? I (Nebula) personally use a regular credit card every time I order cannabis seeds online. I’ve also used a debit card, too. I like using a credit card when ordering seeds because in general credit card companies tend to offer better protection for online purchases than a bank. If there ever is a problem with a purchase of any kind, a credit card company will instantly give you a refund, while a bank tends to make you wait while they do an investigation. Although this has never happened to me personally, when placing an order sometimes a card won’t go through because the overseas transaction has been flagged as suspicious because you don’t typically order things from overseas on that card. If that happens to you, you may need to call your bank to let them know you approve of the order. From what I’ve heard from growers in our growing forum, this seems to be a relatively quick and easy process. You could also always take your card and try somewhere else. It seems like this only happens with certain card and seed company combinations, and sometimes trying another company with the same card will work immediately without contacting your bank. You will rarely see a seed company that offers Paypal as a listed payment option. This is because cannabis seed sales are prohibited by Paypal and a seed company’s account will get shut down instantly if Paypal finds out what they’re selling. However, just between you and me, sometimes if you email a seed company first and ask, they’ll be able to accommodate you with alternate payment options that aren’t offered on their website. But make sure to be cool and don’t ever message a seed company through Paypal so they don’t get in trouble. Always email seed companies through their personal email or website! Is It Safe to Send Cash? I personally have never sent cash through the mail. However, I know dozens of our readers and forum members have bought seeds online with cash, and (a little surprisingly to me) they don’t seem to have many problems. If you do send cash, make sure to only use a trusted seed source like the ones listed above, and always wrap your cash in paper so no one can see there’s cash inside through the envelope! It’s probably a good idea to start with a relatively small order, so you can test the system and the company before sending a large amount of cash through the mail! 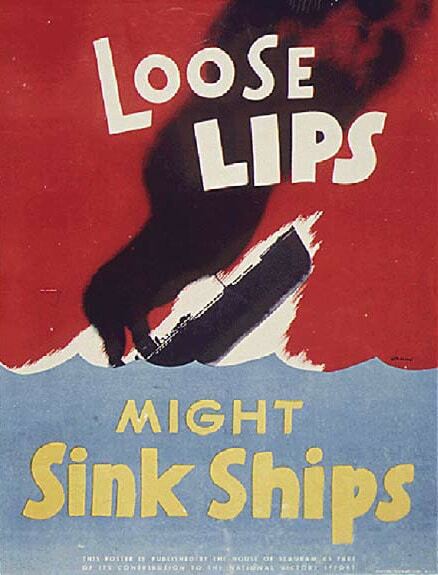 Remember, once it’s lost, it’s lost! Which strain should I buy for my first grow? 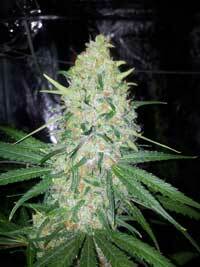 There’s lots of great information about strains online, and via the Seed Finder link above. My best suggestion is to do a little research on the strain and breeder, and grow a strain that seems interesting or exciting to you. If you’re still not sure, a great option for first time growers is Northern Light, since this strain is potent, stays short, is easy to grow, quick to harvest, and has a relatively low smell compared to most other strains. But there are lots of strains that are suitable for first-time growers! What’s most important is to choose a strain that intrigues you, that way you’ll be unbelievably excited when you receive your seeds! 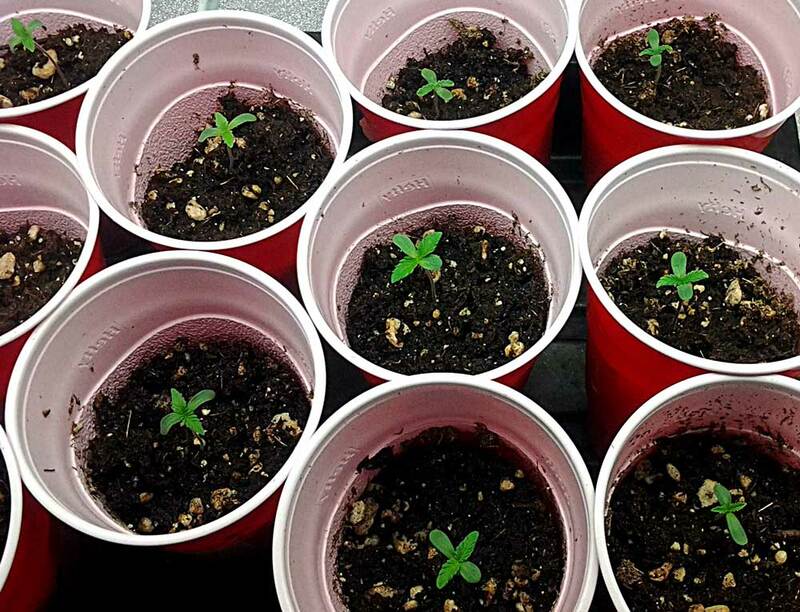 What’s the Best Marijuana Seed Bank? Although there is no “best cannabis seed bank” there are many companies that have been used by hundreds of real cannabis growers like you and proven to be great and consistent sources of marijuana seeds. The two creators of this site (Sirius and Nebula) live in the US and we rely exclusively on ordering seeds overseas for our own grows. We aren’t commercial farmers. We put together this list of popular seed sources including the ones we order from the most and why. Each of these marijuana seedbanks, seed vendors, and breeders have been put on this list based on their reliability, stealth, strain choice and how long they’ve been in the business. However, there are many other seedbanks and many of them are great! We just don’t personally have experience with them and only want to recommend what we know. Get the best results by starting with seeds from a trustworthy seed source! Due to current customs laws in America, if your seed package from overseas gets caught in the mail, you don’t get put on a list. First of all, I’m talking from not just my own experience (I’ve been ordering cannabis seeds online regularly since 2008) but also the experience of the thousands of growers from the USA who write in to GrowWeedEasy.com or talk about growing in the forum. For myself and for other growers, on the occasions where my seeds have been caught by customs in the mail, the U.S. customs agents simply toss the seeds and send you the rest of your package with an official looking letter explaining that your seeds were confiscated. If that happens you, the next step is to contact the seed bank so they’ll send you a replacement package. Unless otherwise stated, all reputable seed banks will replace your seeds if they somehow get lost in the mail, and no one gives it a second thought. That’s how routine it is! Many, many growers order seeds online every day, and to this day there has never been a report of someone in the USA getting in legal trouble for simply ordering cannabis seeds online. You can check me on that! In fact, American citizens have been ordering seeds overseas via mail order from Amsterdam since at least the 1970s, and even though it’s been over 40 years there hasn’t been a case of an American getting in legal trouble simply for ordering cannabis seeds online through the mail! However, because of the (backwards) way U.S. federal laws work surrounding cannabis, you can get in a lot of legal trouble for selling or sending seeds from one place to another within the USA, even between legal states! That’s why you never see long-term cannabis seed banks located in the U.S. 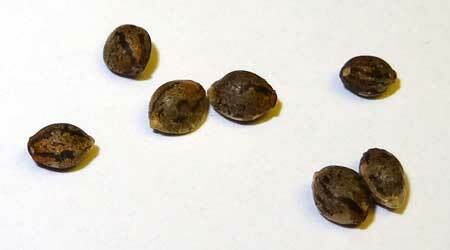 When marijuana seeds get caught by customs agents during shipping, the seeds get tossed and that’s it. It doesn’t matter what state you’re in, or your local laws. That is simply the way our laws about customs work. On the flip side, a U.S. sender can get in a lot of trouble by sending seeds from one place to the other within the U.S. (though this is still very, very rare). Sometimes it’s better to hear it from other people, so I encourage you to join our grow forum and ask questions and hear answers from real people. This is a very personal decision, and you need to listen to your instincts, but I believe the evidence speaks for itself! 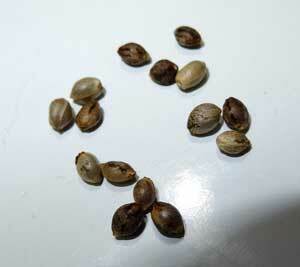 Cannabis seeds are often dark brown with stripes. However, the stripes are actually the result of a coating. If you rub the coating off, you will have a more pale, tan-colored seed underneath. Some seeds never really grow a good coating. It’s a good sign if a coating is there just because it means the seeds weren’t handled too much, but some of my best plants have come from tan seeds. These are all viable cannabis seeds, displaying the variation of colors you might run into. Be Patient! In my experience ordering cannabis seeds from overseas, they generally arrive at my house in the US about 1-4 weeks after my initial order. It’s normally pretty quick, but it can take longer. I had a package go missing once, and they sent another. I got the replacement, and then a week later the original one showed up, a full 6 weeks after it was shipped! I guess what I’m trying to say is, if it’s only been a few weeks, try to be patient and not worry because packages can get caught up. But if it’s been more than 2 or 3 weeks definitely contact the seed bank with any questions! They have experience with this and will be able to help you! So what should you be worried about when it comes to security? Telling People! When it comes to ordering seeds online, you have a lot of wiggle room as far as law enforcement is concerned if you live in the US or the UK. In these countries ordering seeds online is really a non-priority and the government is going to leave you alone about it. While they will go after growers they will not go after people just for ordering seeds. So that’s a really important distinction you need to remember. When it comes to growing security, seeds by themselves may be technically illegal but you will never get in trouble for merely possessing seeds. It’s not worth anyone’s time to go after you for that. What you need to be worried about is making sure no one knows you’re actually growing cannabis, that you currently have live cannabis plants in your house. That is what the government and law enforcement (as well as thieves) actually care about. 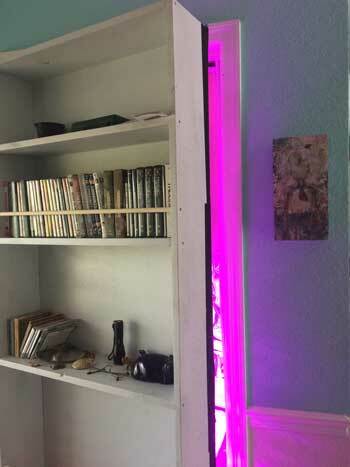 They don’t want to knock down the door of anyone who may have ordered seeds, and instead put their resources into people who have been reported to be growing live plants. Don’t tell your friends that you’re growing! This may seem like it’s common sense, but this is the number one most common reason cannabis growers get caught, because they told a friend who told a friend who told the wrong person. Hundreds of seeds get confiscated every day, but no one gets in legal trouble. Don’t worry about seeds getting caught in the mail; worry about a friend or family member finding out! No matter how much you trust someone, you can never trust someone else as closely as yourself. Never ever tell anyone you grow your own weed, for any reason. It’s tempting to brag about your awesome growing skills and top-shelf bud, but you never want to even hint that you know how to grow to anyone! If other people are talking about growing marijuana, bite your lip and act dumb! Remember: If you can’t trust yourself not to tell anyone, how can you trust them not to tell anyone else? Although it’s important to keep your marijuana grow hidden, keeping it a secret is even more important! If you have done your research and are now considering purchasing cannabis seeds online, then you may be surprised to learn that it is actually very reliable and safe to buy your marijuana seeds online from a reputable seed bank. Some seed banks will even take payments from Paypal if you contact them first! Have you decided you want to see a marijuana leaf growing in real life? Have you dreamed of seeing a real live marijuana plant growing in your home? Ordering weed seeds online from a seed bank will allow you to purchase feminized seeds (all-female marijuana seeds) and will also let you pick the exact strain to match your size and time requirements. Having only female weed seeds is a huge advantage for the small grower who won’t be breeding new strains and may have limited space and doesn’t want to have to waste time and energy on throwing away half their cannabis plants at the flowering stage because they ended up being male cannabis plants. Easy access to buy incredibly potent cannabis strains is another great reason many growers choose to buy weed seeds online. 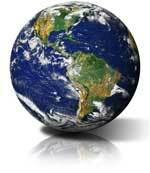 Common Question: Where do I buy marijuana seeds in the USA? 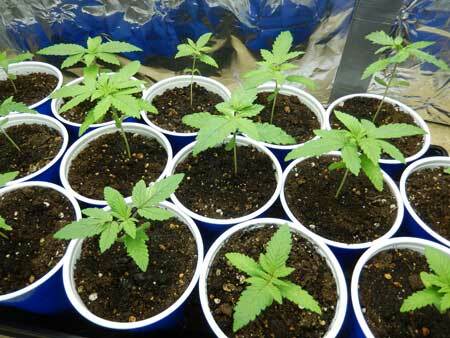 Before anyone can start growing marijuana they have to first get their hands on marijuana seeds or clones. 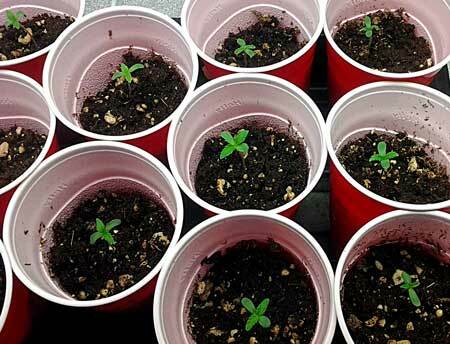 Marijuana seeds are often the easiest for new growers to start with because, unlike marijuana clones, they don’t require access to someone who is already growing marijuana plants. When you see your first tiny little weed leaf you will know it was all worth it! For USA residents, international orders will not go through if you try to use a pre-paid debit or credit card. This used to be a way to add security to your order (purchase a pre-paid card in cash, then use that to make your online order) but these cards no longer work with any international order due to a change in laws that occured in 2012. However, there are lots of safe options to get marijuana seeds in the USA. If you’re trying to figure out which cannabis seed banks deliver to the USA or another specific part of the world, you can find those answers in the list on this page! Who is the Best Cannabis Seed Bank? How do I grow cannabis? The tips and advice in this article about buying marijuana seeds online are only meant to be used by those who can legally buy marijuana seeds and grow marijuana according to all applicable laws. We are not lawyers and are not able to provide any sort of legal advice. We do not in any way recommend that you use this information to buy pot seeds if it is not legal for you to do so. Please do not proceed to use any of this seed sales information if you will commit a crime by following the steps outlined in this article, even if you are growing for pain relief, medical research, or another reasonable purpose.